Greetings fellow procreate artists! Below are a number of hand picked drawing tutorials done with the Procreate app on the Ipad. I hope you find these lessons helpful! I’M USING IPAD PRO 10.5” WITH APPLE PENCIL AND PROCREATE APP. Greetings and welcome to my first video. In this video I briefly go over the basics of getting started with the Procreate on iPad. I plan to do many more tutorial, tips and tricks videos about art and design applications. HOW TO PAINT A GALAXY AND STARS. Apple Pencil drawing and painting tutorial created on an ipad pro 12.9 in Procreate app. Learn how to paint the cosmos and space in this step by step digital art tutorial ideal for artists and beginners. Want to learn how to use Procreate to draw on your iPad? New to Procreate or want to learn time-saving tips and tricks? In this video you’ll learn all the basics, tips, tricks, and everything you need to get you drawing as quickly as possible, without overwhelming you with information. Procreate 4 tutorial – A complete app guide for iPad artists Here I give a complete video tutorial for the procreate art app on iPad Pro. 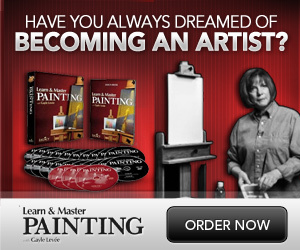 I demonstrate and give a step by step guide for both beginner and experienced artists. I show you how to draw, paint and manipulate using the app along with all the digital tools such as layers and masks. Procreate have produced an artist handbook in the form of an ebook or pdf but I thought a video version would help give an overview in a more easily digested format. Hey guys!! This is a complete walkthrough of how to do the basics in Procreate 4.2! I use Procreate every single day for digital planning and lettering, and I LOVE IT!! Check out the timestamps below if you’d like to skip around! In this video I show you how I sketch and draw faces. I cover basic concepts and techniques that’ll enable you to draw better portraits. For this tutorial I have used Clip Studio Paint but the methods explained in the video apply to any medium, so feel free to use paper and pencil, the iPad Pro & ProCreate or anything else you have! (Please keep in mind that this video focuses on the technical aspect of drawing faces. I wasn’t trying to create a nice and appealing illustration.) I hope this drawing tutorial helps you in becoming a better artist 🙂 Let me know in the comments what you struggle with the most! Get my “Procreate Like a Pro Course” here on Udemy – https://www.udemy.com/procreate-like-… In this video, I show you how to get better control over your lines while using Procreate. You will learn how to shade and cross-hatch more effectively by using the “Quick Line” feature and also the “Perspective Guides”. My Top 5 Sketching Brushes in Procreate! Today, I reveal my 5 favorite sketching brushes in Procreate! I know its a bit of a longer detail but I wanted to go in depth about my thought process and really help you guys get start getting used to the app if its your first time. Feel free to use these settings and let me know if you make anything with them!